A relatively gentle walk, taking its name from Eboracum, Roman York. From Helmsley it heads southwards to Hovingham and crosses undulating farmland to Strensall, from where the River Foss is followed to York. The city is crossed on the path along its medieval walls and is left along the banks of the River Ouse. 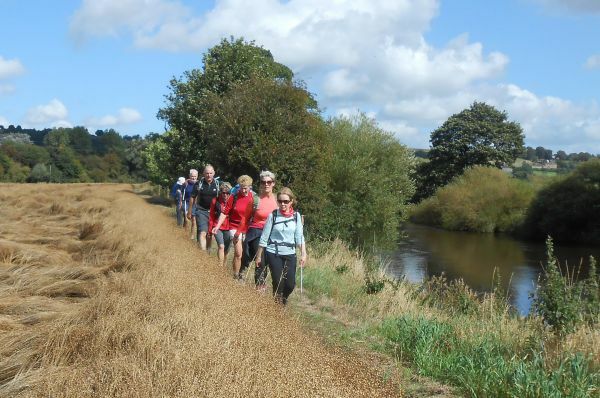 At Tadcaster the route turns west and continues along the Wharfe valley and the Ainsty bounds to Wetherby and Harewood. Here the Way climbs to the gritstone outcrops of the Chevin and Cow and Calf Rocks on the edge of Ilkley Moor before descending to Ilkley in Wharfedale. 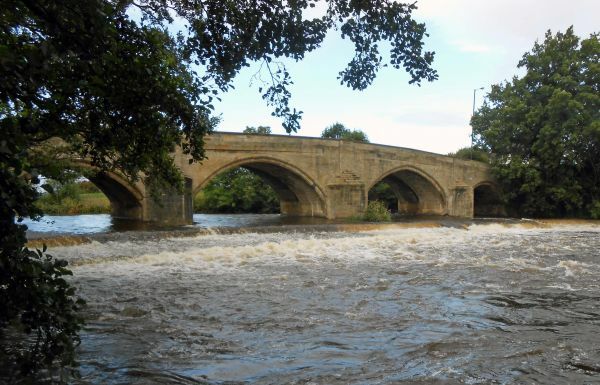 Woodhall Bridge near Wetherby is open (for Easter 2015), after a 3-year closure due to storm damage. This enables walkers to use the Ebor Way, Tidewater Way and White Rose Way that involve this crossing.